A psychological drama, The King Of Comedy examines the world of celebrity obsession with eerie foresight. In New York City, Jerry Langford (Jerry Lewis) is the popular host of the premier late night television talk show, welcoming celebrity entertainers for performances and interviews. 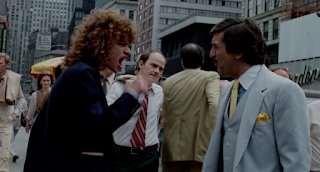 Langford attracts the attention of hordes of autograph seekers and stalkers, including Rupert Pupkin (Robert De Niro). In his mid-thirties and still living with his mother, Rupert is delusional and imagines himself as the next great comic. He finagles a meeting in Jerry's limousine, and builds upon it a fantasy life in which he is a major star. Rupert starts stalking Jerry's office to try and secure a spot on the show, and tangles with production assistant Cathy Long (Shelley Hack) and security staff. He tries to embroil high school classmate Rita (Diahnne Abbott) into his make believe world, while frequently clashing with fellow stalker Masha (Sandra Bernhard), who is equally unstable. When Jerry takes a firm stand to block Rupert out of his life, the wannabe comic resorts to increasingly desperate measures. 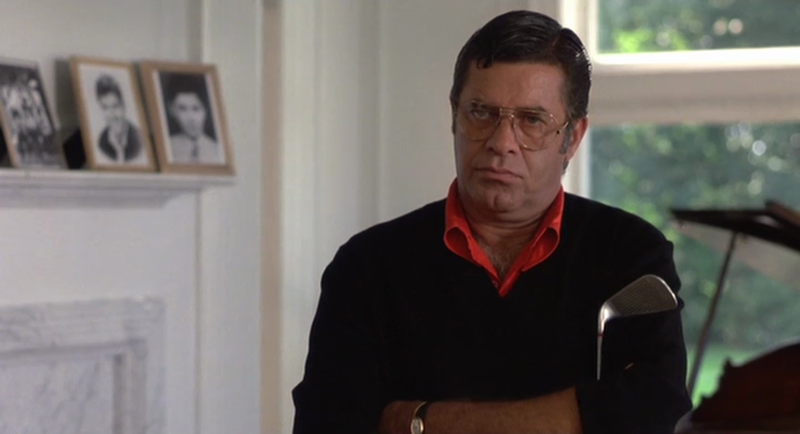 Despite the film's title and the involvement of funny man Jerry Lewis, The King Of Comedy is neither funny nor intended to be. This is a sometimes wrenching drama laced with satire reflecting the tragic rise of celebrity culture, where talentless losers feel entitled to the spotlight because everyone needs their 15 minutes of fame. Directed by Martin Scorsese and written by Paul D. Zimmerman, The King Of Comedy is also a startling journey into the mind of a twisted man. 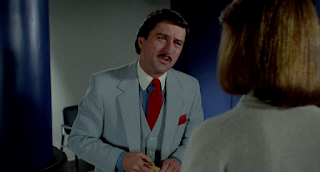 Made all the more effective by a matter-of-fact, non-sensational style, the film delves into what makes Rupert Pupkin so unsettling: superficially, he functions in society. Just below the surface, he lives in an alternative reality of his own making. His two worlds are always rubbing against each other, creating a sense of disquieting unease. Mental illness is never an easy topic to tackle on the screen, and Rupert Pupkin is perhaps one of cinema's most effective attempts. Annoying as he is, Pupkin is also a victim of his condition in a society that both perpetuates his thirst for fame and is ill-equipped to help him deal with it. He is a character to be both detested and pitied, and De Niro's sober performance challenges both emotions. As a broader theme, The King Of Comedy proved to be remarkably prescient. 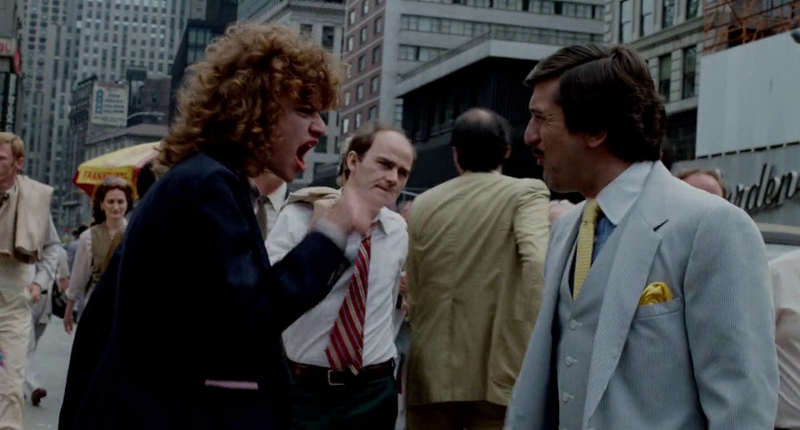 The irrational desire to be universally liked has only exploded in the decades since Rupert Pupkin. Social media has enabled the emergence of talent-deficient reality stars famous for being famous, revealing how astonishingly close Pupkin is to the surface of the human psyche as a whole. In one of his most memorable roles, De Niro is always oily and sometimes chilling as Pupkin. Smiley, persistent and carrying a whiff of cheap danger, De Niro goes to the edge of reason but never crosses over into outright loony territory. And in a casting masterstroke Scorsese extracts a serious performance from Jerry Lewis. Langford is only jovial and friendly when the cameras roll; otherwise he is all business running a high profile show and dodging a never ending stream of autograph seekers and fake well-wishers. The weakest parts of the film feature Sandra Bernhard as Masha, her character poorly defined and existing solely in the turbulent air created by Pupkin. Diahnne Abbott fares a bit better as the former classmate being dragged into Pupkin's fantasies. The King Of Comedy lands a deserved blow to the societal gut, at the void where tenacity and talent become interchangeable. Failure succeeds, success fails, and failure is success. Welcome to the age of undeserved notoriety masquerading as stardom.